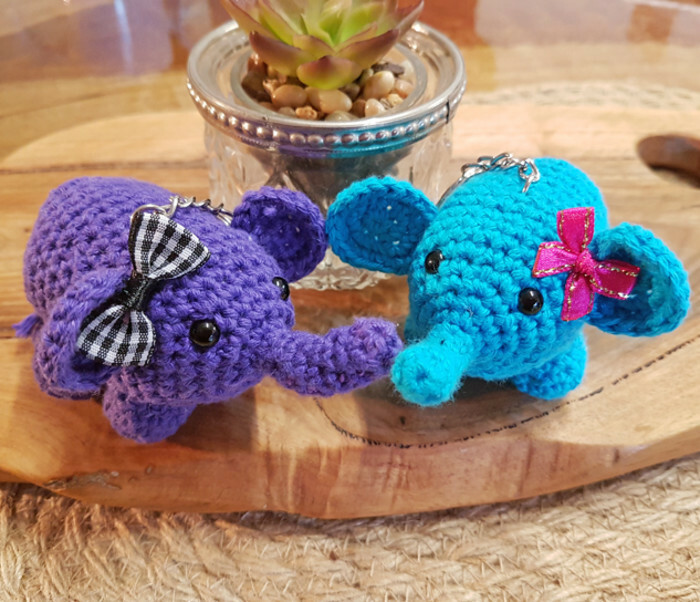 This little hand crocheted elephant keychain or bag buddy is perfect for adding a unique touch to your children's school backpack. 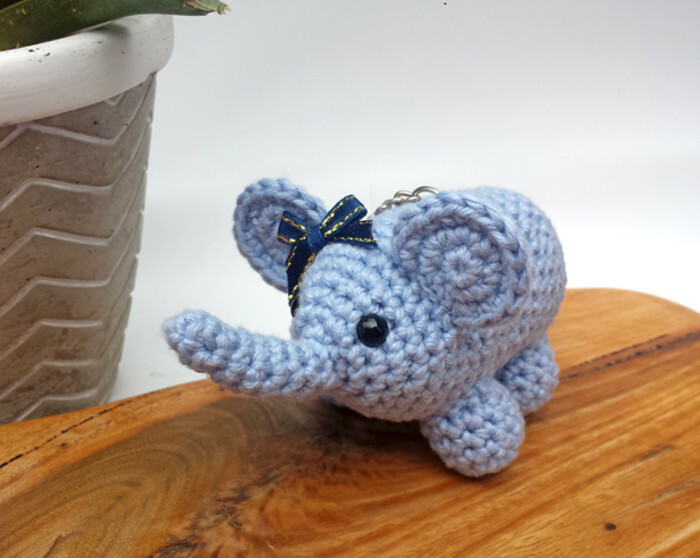 The elephant is approximately 10cm long by 5cm high and is made from cotton yarn. It has plastic safety eyes and is stuffed with polyester filling and has a sturdy metal keychain for hanging from keys, bags or anything else. 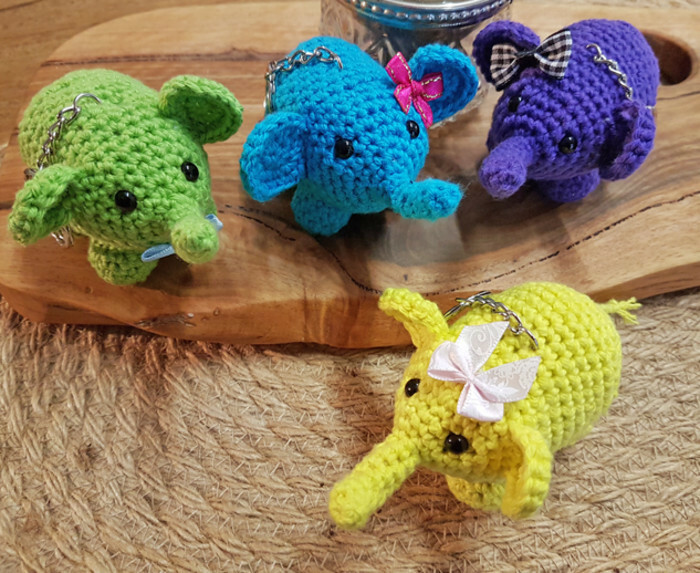 These little elephants can be made without keychains as well as in most colours so if you would like a customised elephant please email or message us. 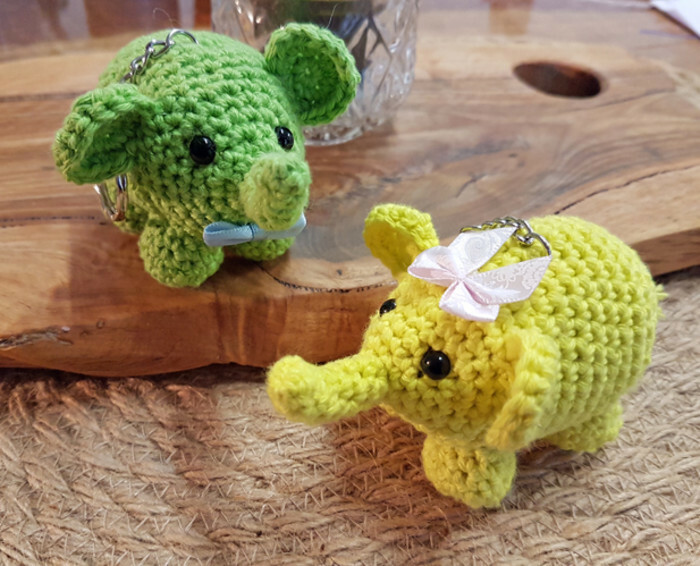 Custom orders may take up to 2 weeks to produce plus delivery time.